Home › Energy-Efficient LED Lighting › Viaeon Usb Clip-On Table Lamp Energy-Efficient Led Clamp2 Brightness Level 3 ..
Viaeon Usb Clip-On Table Lamp Energy-Efficient Led Clamp2 Brightness Level 3 ..
USB Powered : With its USB head, Insert to power adapter, computer or other USB devices to power the lamp. 2 Brightness Level & 3 Light Color Switch: Built-in two kinds of color leds, simple button control of high/low brightness and warm white/daylight white/cool white light color. Memory function: Can remember the color temperature(light color) of last time use. Space saver:You can put it anywhere and it will give you more space. Long neck: Smart gooseneck design allows you to adjust your lamp with ease and to direct the light wherever you want. 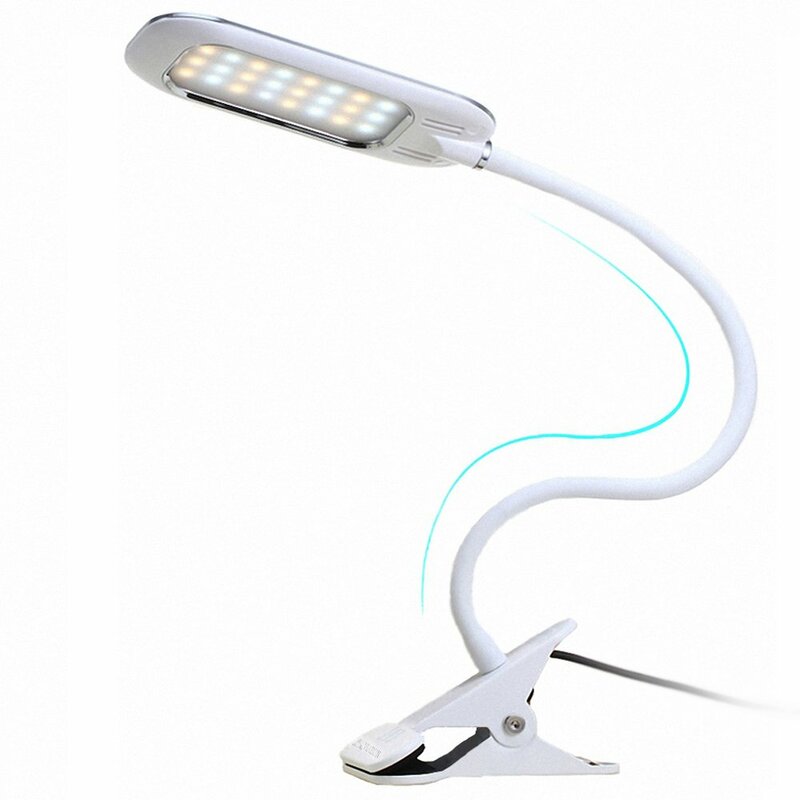 VIAEON Lights VIAEON clamp light extra long necked desk lamp comes as a single unit thatdoesn't need installation. It has 24 LED pieces that are designed to protect your eyes from strain, anextra-long neck with core strengthening technology that guarantees the lampwill be able to hold its position and an extra-long USB ended cord forflexible charging. Plug into any available USB port(laptop/notebook/desktop)to power the lamp OR Attach it to a power bank for portable use. 2 Brightness Level & 3 Light Color Switch,Built-in two kinds of color leds,simple button control of high/low brightness and warm white/daylightwhite/cool white light color. You can set the color temperature and adjust the brightness to cater to yourvarious lighting moods. This light has built-in memory function and canremember the brightness/temperature setting from your last use. Specifications: Material:Premium ABS plastic with smooth rubberized coating Light color: Warm color, white color or both LED qty: 24 LED Power: 5W Max Voltage: 5VDC Working current:600mA Max Working temperature: -20- 40 Color temperature: 3000K - 6500K USB cable length: 1.5m Accessories included: 1x VIAEON clamp light 1 x User manual Application: Desk, work, drafting, display, grill, music stands, pianos, office tables,computer desks, headboards, etc. Couple with a power bank to be used in areas without an available electricalsocket.